Barcelona ace Rafinha has been ruled out for six months after undergoing surgery on his knee having ruptured ligaments. The 25-year-old had made eight appearances so far this season, playing a key squad role for coach Ernesto Valverde after impressing during his loan spell with Inter in the second half of last season. However, he could now miss the rest of the campaign due to the knee injury he suffered against Atletico Madrid at the end of last month, with his recovery and subsequent rehabilitation potentially making it unlikely that he’ll return in time before next May. As noted in the club’s official statement, it’s the latest in a series of serious setbacks for the versatile ace, while it’s confirmed that he will face around six months on the sidelines. 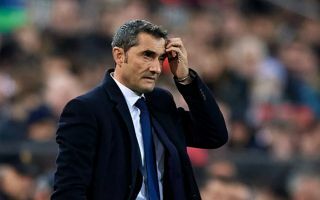 Given he struggled to secure a regular place in the starting line-up, Valverde will likely be able to cope without him, but ultimately it’s still a blow for Barcelona given that they’ve lost quality depth as they look to compete on multiple fronts this season. With that in mind, it remains to be seen whether or not they choose to act in the January transfer window to address that void, but it would seem as though they still have enough cover in key departments to continue as they are. For Rafinha though, it will be a bitterly frustrating setback having forced his way back into Valverde’s plans with an impressive stint in Italy last season. After playing a key role in Inter’s qualification for the Champions League, he seemingly hoped to return to the Catalan giants and establish himself at the Nou Camp. Instead, he faces more time on the treatment table between now and next summer.